Go Automobile Manufacturing Sdn Bhd (GAM), the manufacturing arm of the Go Auto Group of Companies has signed a Memorandum of Understanding (MoU) with SIRIM Berhad, an agency of the Ministry of Energy, Science, Technology, Environment and Climate Change (MESTECC) for a long-term strategic collaboration and partnership for the development and improvement of technology, products, people and market. L-R: Ir. Dr. Mohamad Jamil Bin Sulaiman, Vice President, SIRIM Industrial Research, SIRIM Berhad; YBhg. Prof Ir. Dr. Ahmad Fadzil Mohamad Hani, President & Group Chief Executive, SIRIM Berhad; YBhg Dato’ SM Azli SM Nasimuddin Kamal, Executive Director, Go Auto Group; En Wan Ahmad Wan Omar, Executive Director, Go Auto Group. This collaboration will allow GAM access to SIRIM’s research facilities as both parties cooperate on developing technical expertise, technology transfer and technical training with the ultimate aim to bring forth products into the market. The MoU was signed by YBhg Dato’ SM Azli SM Nasimuddin Kamal, Executive Director of Go Auto Group and YBhg. Prof Ir. Dr. Ahmad Fadzil Mohamad Hani, President and Group Chief Executive of SIRIM Berhad. “Go Auto is thrilled with the collaboration with SIRIM, as they have over forty years of experience and expertise in research and technology development in the nation. Their advantages in the field of research and development, in addition to ensuring industry standards and quality makes them our idyllic partner for the Company. We look forward to the collaboration as this gives us the opportunity to tap into each other’s strengths which can result in the maximizing development execution of projects for both parties,” said Dato’ Azli. “Our manufacturing will be able to meet regulatory and market requirements whilst indirectly enabling us to reduce our production and R&D costs. 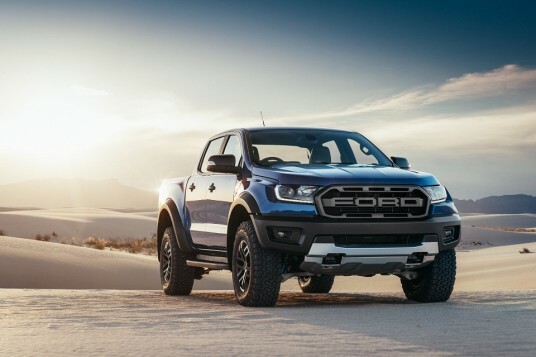 This collaboration is also in line with the National Automotive Policy (“NAP”) which to produce products with features that meet international standards and requirements. SIRIM has a track record which allows Malaysian products and services to achieve worldwide recognition in terms of quality and innovation,” Dato’ Azli added. President and Group Chief Executive of SIRIM Berhad, Prof Ir. Dr Ahmad Fadzil said that SIRIM is well positioned to spearhead initiatives towards transforming Malaysian industry into the Fourth Industrial Revolution (Industry 4.0). 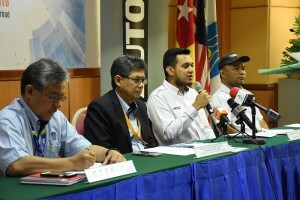 “SIRIM is excited and looks forward to the partnership with Go Automobile Manufacturing Sdn Bhd to further assist connecting vehicles technology and to transform driving experience in Malaysia. Among the areas of collaboration include development and improvement in capability and capacity of lithium-ion based rechargeable battery to replace lead-acid batteries in the automotive market; development of green vehicle technology which include batteries for bicycles and motorcycles and development of sodium-ion battery as alternative to lithium-ion battery. Other areas include Rapid Prototyping and 3-D printing for MARA TVET students and Vehicle Type Approval (“VTA”) testing facilities in e-mobility as mandated by the Road Transport Department (“JPJ”) and Ministry of International Trade and Industry (“MITI”),” said Prof Ir. Dr Ahmad Fadzil. “The collaboration is timely in supporting the government’s aspirations and efforts in transforming the Malaysian businesses to meet the challenges of Industry 4.0. We aspire to leverage SIRIM SME Development Programme and championing pillars of Industry 4.0 in the area of Additive Manufacturing, Artificial Intelligence, Smart Manufacturing and Internet of Things (“IoT”) devices,” added Prof Ir. Dr Ahmad Fadzil. The rationalisation of this collaboration is expected to be completed within two years of the MoU signing.